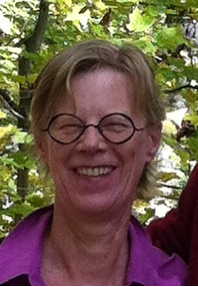 Barbara Johnstone is Professor of Rhetoric and Linguistics at Carnegie Mellon University and former editor of Language in Society (2005-2013). She is the author of Repetition in Arabic Discourse (Benjamins, 1990), Stories, Community, and Place: Narratives from Middle America (Indiana UP, 1990), The Linguistic Individual (Oxford, 1996), Speaking Pittsburghese: The History of a Dialect (Oxford, 2013) and two popuar textbooks, Qualitative Methods in Sociolinguistics (Oxford, 2001), and Discourse Analysis (Blackwell, 2002, 2008), in addition to many edited volumes, articles, and book chapters. Her recurrent interests have to do with how people evoke and shape places in talk and with what can be learned by taking the perspective of the individual on language and discourse.